It might seem like encouraging people to eat less meat is a no-brainer: just provide information about the implications of eating meat and people will start eating less of it. But in our recent paper published in the International Journal of Behavioral Nutrition and Physical Activity, we found no evidence that simply providing information about the health or environmental implications of eating meat cuts the meat on people's plates. This might be because our everyday food choices are rarely driven by what's known as our "Einstein Brain System," which makes us behave rationally and in line with what we know about the pros and cons of doing something. People don't have nearly enough brain space to make such rational judgements every time they choose what to eat. So when it comes to deciding between a ham or a hummus sandwich, the odds are we won't base this decision on the information we just read in the latest climate change report. Instead, these routine food choices are typically driven by what can be termed our "Homer Simpson Brain System" – named after the cartoon character famed for making impulsive decisions. This system is designed to save brain space by allowing our surroundings to be the guide to what we eat. Research showed that making veggie options more visible than meat at the counter of a university canteen was linked with a 6 percent increase in the selection of meat-free dishes. And when it comes to a buffet setup, placing the meat options at the end of the aisle is probably the way to go. One small study found that this buffet layout could cut people's meat intakes by up to 20 percent. But given the small sample size, more research is needed to corroborate this finding. Reminding people of where meat actually comes from can also make quite a difference to how much meat people end up eating. Research shows, for example, that presenting the image of a pork roast with the pig's head still attached increases people's demand for a plant-based alternative. 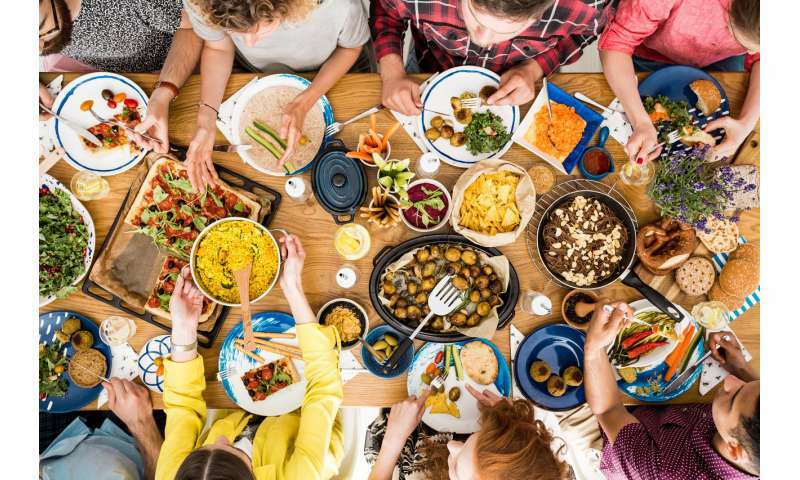 So while it's still early days and much more research needs to be done to understand how to encourage people to eat less meat, ultimately, making meat-free options more appealing will be key to reducing long-term meat consumption.